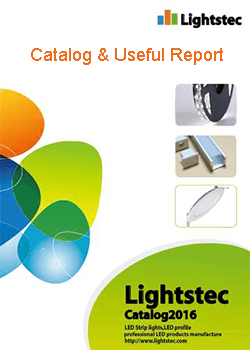 When you are sourcing led aluminum profile,you need to know some basic knowledge. This post as a led aluminum profile WIKI will give you all you want to know here.This will help you more understand led aluminum profile industrial and sourcing the right high quality products. You only need to spend a short time reading this article then you can know more clearly about led aluminum profile in lighting business. What are LED Aluminum Profiles? 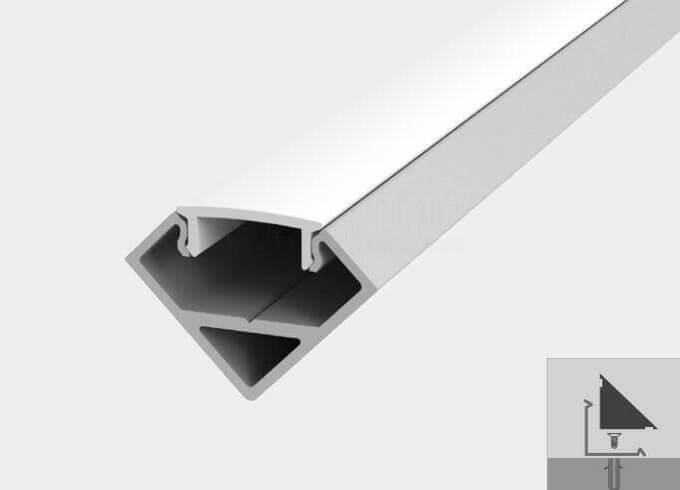 Led aluminum profiles, also known as Led extrusions, are lightweight channels typically made from aluminium which are designed to house and protect kinds of LED strip lights. They are available in many different shapes, sizes and depths and can be installed in a variety of ways. They often require a diffuser/cover for an even distribution of light, avoiding any unwanted spotting effects that LED tape can sometimes cause. Many are made using fully anodized corrosion-proof aluminium, making them ideal for use outdoors too. 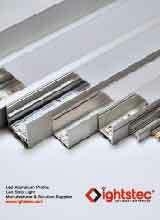 What types of led aluminum profiles are available? Shape: Either rectangular, circular, corner. Be sure to make note of the maximum tape width of each channel to ensure it is compatible with the LED tape you will be using. Depth: How deep do you need your channel to be? 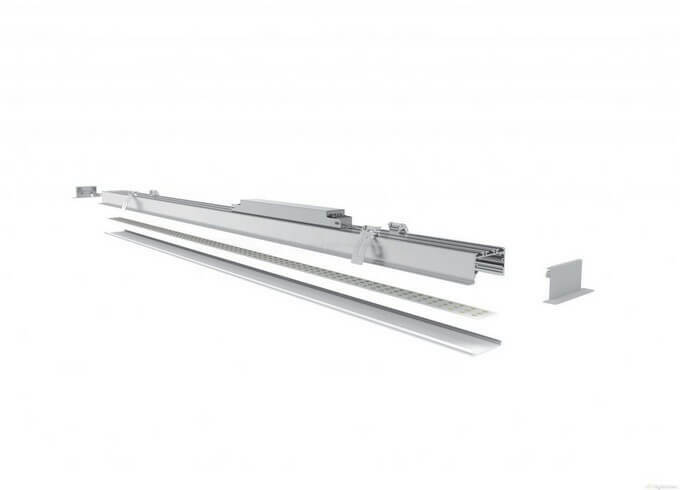 For installations where space is limited a slim line profile would be most suitable. For those which use thicker LED tapes, a deeper channel may be required to house the strip lighting. 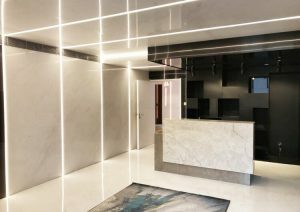 Installation: Would you like your LED lighting to be surface mounted, suspended or recessed (into tiles, plaster or into the ground)? You might hear the terms “profile,” “die”, and “extrusion” and wonder what the difference is between them. However, the truth is that they are all the same. The term “aluminum profile” describes the shape that is made when the aluminum is pushed through the custom aluminum extrusion profile or die, which is made from strong metal to withstand the pressure that is put on it during the extrusion process. An “aluminum extrusion” is the end result of the work that is done to create the parts, pieces, or products through the extrusion process. Some tubes are round, some are oval, a few are squared. The shape is the profile or die at the end of the tube that is used to create the shape of the toothpaste as it goes on your toothbrush. Choose a different shape, get a different result. The same holds true with aluminum extrusion design. Rectangular LED Aluminium Profiles: Also known as shaped aluminium profiles, these are the most commonly used channel in LED installations. They are available in a variety of sizes and colours suitable for both home and commercial environments. Many are surface mountable with screw-in brackets, however suspended and recessed varieties are available. Circular LED Aluminium Profiles: With lighting angles varying from 180º to 360º illumination, circular profiles are ideal for installations with a modern finish. Although many circular profiles are best suited to surface mounting with brackets, some can be suspended with cables to create light tubes. Corner LED Aluminium Profiles: Corner profiles are designed to emit light at a 45º angle,making these channels ideal for under shelving units or in ceiling coffers. Surface LED Aluminium Profiles: Profiles which are installed via screw-in mounting brackets are known as surface profiles, because they protrude above the surface on which they are installed as opposed to being recessed into the surface.They are available in rectangular, corner and circular varieties and are commonly used in furniture or retail lighting. Suspended LED Aluminium Profiles: Some LED tape profiles feature the ability to be suspended when installed with our suspension cabling. 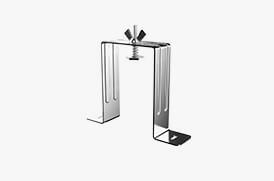 These profiles have special grooves to accommodate for additional screws and corresponding steel suspension cabling kits which are available for purchase at checkout. 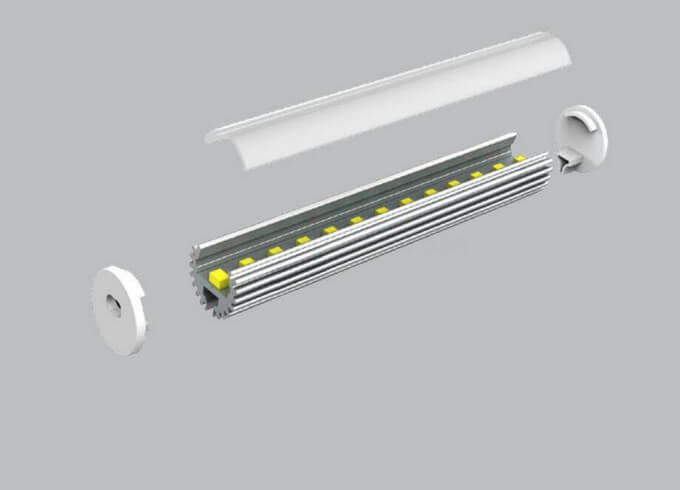 Waterproof LED Aluminium Profiles: Some LED tape profiles can achieve an IP rating of65 when sealed with silicone glue. Combined with their corrosion-proof anodized coating,these aluminium profiles are ideal for outdoor LED installations. 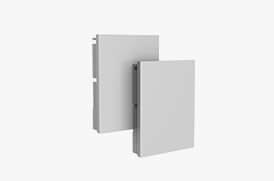 Standard Recessed LED profiles: These require a hole to be cut into the wall or furniture in which you wish to install it and have a trim to hold them in place. These profiles can be used in many different materials and environments. developed for recessing into plastered walls and ceilings for an incredible seamless diffused light output. They are available in both flat and corner varieties. Tile-in Recessed LED profiles: Tile-in aluminium profile allows you to create stunning modern lighting effect suitable for bathrooms, kitchens, and other tiledareas. 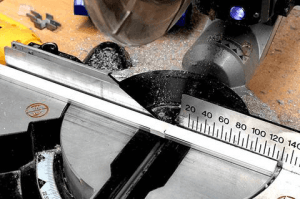 Due to the unique edge rim you can place standard depth tiles up to 10mm width on top and seal the edges as you would do normally when tiling. 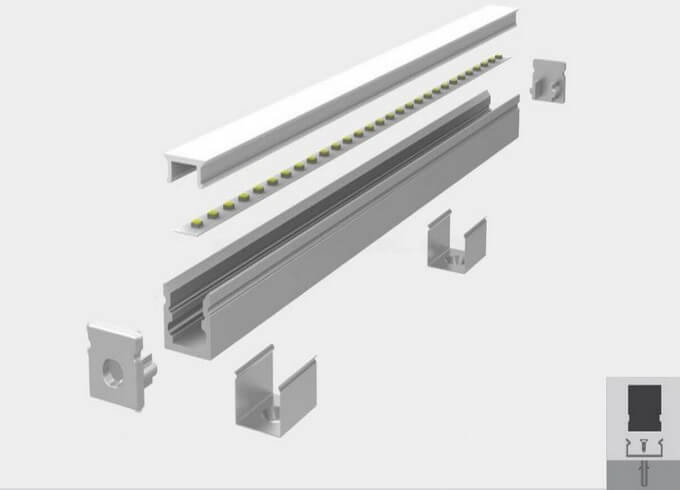 LED aluminium profiles are designed to house and protect runs of LED tape. Although almost any tape can be installed into a profile that is wide and deep enough. What are the benefits of using led aluminum profiles? Installing LED tape in an aluminium profile is recommended due to the protective features the profile offers. As well as protecting the tape from general wear and tear, aluminium channel also acts as a heat sink which prevents the LED tape from overheating and thus prolonging its lifespan. Aluminium LED strip light extrusions help to prevent contact damage if the LED tape is positioned within easy reach. And though they are not waterproof, extrusions can help prevent moisture. Normally, our LED profiles are available in silver, white or black. LED profile diffuser: These are lengths of plastic which diffuse the light produced by the LEDs, producing an even distribution of light. They are available in opal, semi-clear or transparent varieties. LED Profile End caps: End caps are used to seal aluminium profiles. Sold in pairs, most end caps come with one blank side and one with a hole to allow cable entry. They also help prevent dust from entering the aluminium profile and damaging your LED strips. 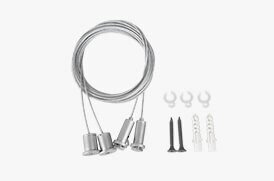 LED Profile Mounting Clips: Mounting brackets are used to secure aluminium profiles to a surface. Simply screw the bracket onto a surface and clip in the profile. Sold in singles,although we recommend using 2 brackets per metre depending on the profile. 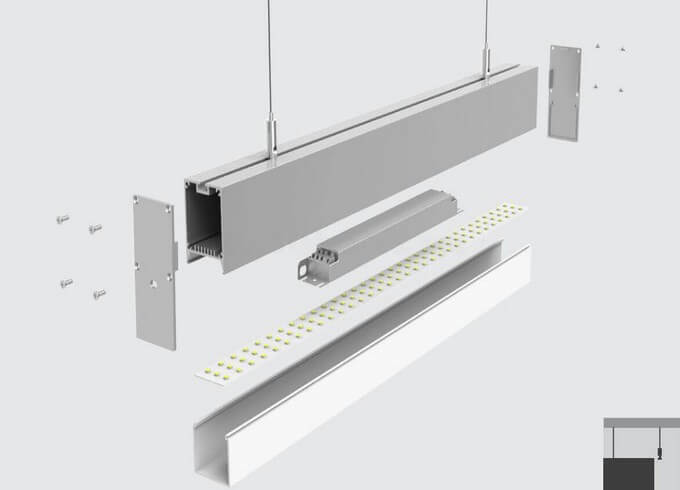 What’s the difference between LED Extrusions & LED Profiles? There is no difference. The terms ‘aluminium extrusion’ and ‘aluminium profile’ are interchangeable. 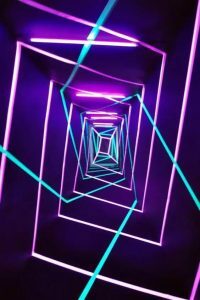 What is the length of an LED Extrusion? Normally,we offer 1meter/2meter/3meter.For longer length,you need to think about the delivery. 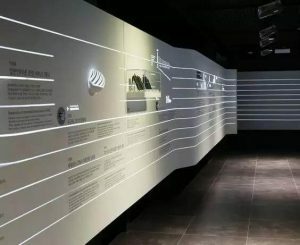 How to select the led aluminum profile in project? To select an appropriate channel style, consider the installation. The surface-mount channel is an easy retrofit to an existing construction and can be affixed to a surface using metal clips (available separately) or double-sided tape. The flush-mount channel is a good option for new construction where a low-profile, flush-mounted light is desirable.The edges of the dado are concealed with the flanges on the channel (silicon can be used to secure it if a friction fit is insufficient). The channel can also be surface-mounted using double-sided tape or metal clips (available separately). There are lots of applications for the use of aluminum industry solutions for the LED lighting industry.Aluminum extrusion design is used to enhance and make improvements to LED strip light and other types of LED lighting installations for commercial properties, such as hotels, restaurants, nightclubs, bars, and amusement parks, as well as for residential applications. outdoor living spaces for pools, retaining walls, pathways, etc. Why Use Aluminum LED Housings? Aluminum industry solutions are valuable for many different types of lighting and fixtures used in both residential and commercial applications. Custom aluminum extrusion can provide manufacturers with the profiles that they require while saving them money compared to other methods used to create metal housings. When you work with a reputable company that has many years of experience working with aluminum extrusion design, it is possible to include options and advantages that will increase value and longevity, such as the ability to prevent corrosion through design. When designing LED strip lights, it is important to create a professional and finished look. Unhoused lighting solutions just don’t look good when exposed, especially if the location of the install is where it can be easily seen. Another advantage is that these aluminum industry solutions can help to prevent moisture from getting into the LED strip lighting. While not 100 percent waterproof, there are some additional things that can be done to make it waterproof, if that is what is required. The extruded aluminum provides a base that can be further customized to meet the demands of the project to provide the desired results. 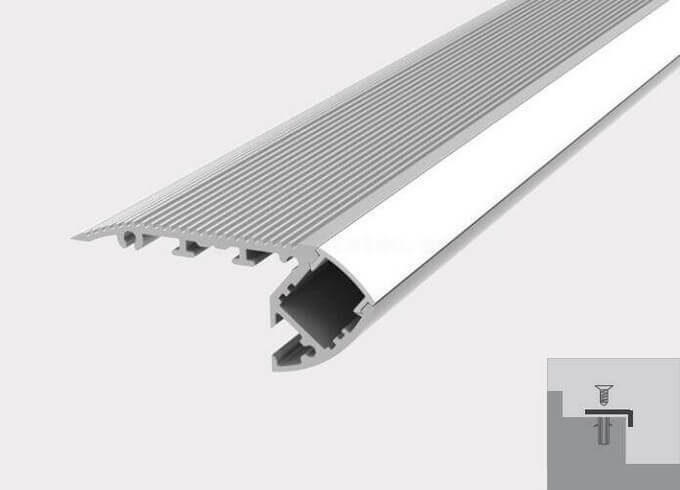 Custom aluminum extrusion can be used to protect the LED strip lighting for indoor and outdoor use, shielding it from damaging UV rays, the wind, dust, debris, and other things that can wreck havoc on the lighting equipment itself. The extrusion housing will also prevent contact damage of the LED strip lighting both indoors and outdoors. Depending on the shape of the aluminum extrusion design, there will be additional advantages. Some shapes can help to augment the effect of the lighting, increasing the exposure of the light, while other shapes can be used to add special effects and finishing to the lighting, depending on your needs. Extrusions can be fixed in place using countersink screws, straight into the extrusion. Alternatively, you can purchase fixing brackets if you prefer. These can be attached in place, and once they are in position, your extrusion can be clipped onto them. Ensure the channel is cut to the length you require and screw the mounting bracketsinto the surface of choice at 1m intervals. 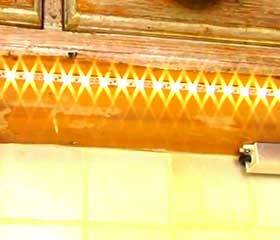 Peel the adhesive backing off the run of LED tape and stick the length of the tapeinto the channel. Clip the diffuser onto the channel. Insert the end clips onto each end of the profile, ensuring the 2 core cable is threadthrough the hole in one of the end caps. This cable will attach to the driver or powersource. Press the profile firmly into the mounting brackets so they click into place. Our aluminium extrusions can enhance and improve all kinds of LED strip light installations. They are an ideal addition in restaurants, hotels, bars, and clubs. Yes, aluminium profiles can be cut to any required length. What lengths of aluminum profile do you offer? We sell profiles in1meter/2meter/3meter lengths as standard. As all our LED tapes feature an adhesive backing as standard installing LED strip into a profile is easier than ever. Simply remove the protective paper on the back of the tape and firmly press it into the channel. 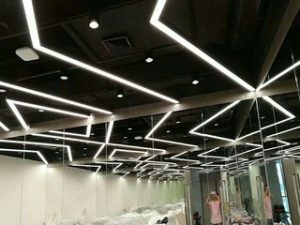 Led aluminum profile is a simple design and it become more and more popular in lighting design area.We need to know more about profile design,application,manufacture.Then we can win more business in the market. Can i use the led aluminum profile with strip light under cabinet light ? We need cabinet light profile. Dear Amaz, many of client using profile as cabinet light material.you should try.